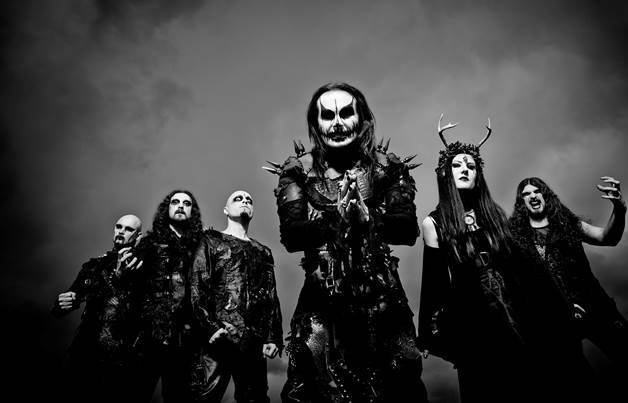 Cradle Of Filth, one of the greatest and most influential British metal bands of all time are very pleased to announce a run of three UK and Ireland shows this upcoming March. These dates will follow a highly anticipated headline performance at renowned UK metal festival Hammerfest VIII. in Cradle’s lengthy history. It continues their grand tradition of infusing every album with a unique atmosphere and conceptual elements that embolden the songs’ dramatic execution. It is classic Cradle from start to finish. And with typically mischievous aplomb, the album’s title flips the historical script, turning the tables on the gruesome witch hunts of 16th and 17th century Europe and exacting some hard-earned vengeance on behalf of all of those who suffered persecution at the hands of religious zealots during that turbulent period in history. Cradle Of Filth have cast a commanding and macabre shadow across the metal scene for nearly a quarter of a century. Armed with their trademark, cross-pollinated assault, that taps into myriad strands of sonic extremity and morbid opulence, they have steadily conquered the entire world, unleashing a malevolent slew of classic albums along the way. From the raw and rambunctious savagery of their 1994 debut ‘The Principle Of Evil Made Flesh‘ to the wickedly monstrous, technicolour bombast of 2012’s ‘The Manticore & Other Horrors‘, the Cradleethos and aesthetic has had a huge impact on the evolution of metal. The band’s insatiable appetite for performing live alongside frontman Dani Filth‘s unerring charisma and sense of occasion ensure that they have established a powerful and enduring connection with Hell-bound acolytes everywhere.